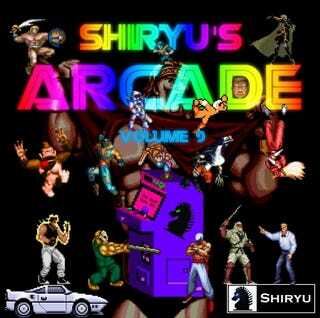 Shiryu Music: Shiryu's Arcade Volume 9 Opens Doors For TAY Public! "Shiryu's Arcade Volume 9" is my ongoing tribute multi-album project to celebrate video game music from my youth. It will be officially released tomorrow, but since I am as sneaky as the many Ninja games whose music I covering in these albums, you can grab yourself a copy right now! You can pretty much identify all of the 16 tracks (+2 bonus tracks!) from the album by taking a close look at the album cover. I have been messing around with virtual electric guitar so expect some virtual guitar shredding along the way the already regular chiptune, orchestral and electronic remix / covers. Pick your poison from the choices below. Hope you enjoy! Feel free to share and spread the word, I am really terrible at marketing this insane hobby of mine. All the latest news and updates at the usual place!